S'mores just remind me of my childhood. Going up north and hanging out by the campfire with family and friends. 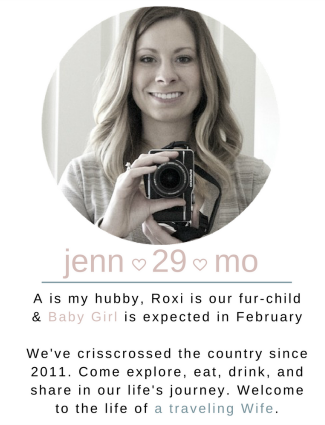 After typing this out, I realized that most people don't say 'up north' when traveling. I'm definitely showing my roots! Can you guess the region? Okay, now to get back on track. 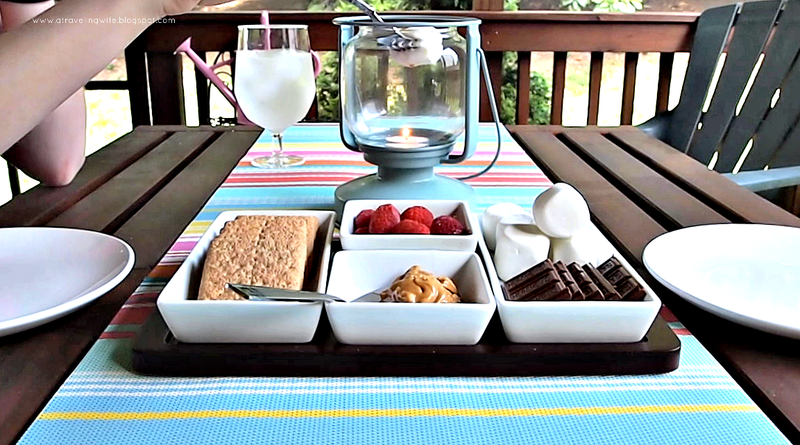 I want to show you how we make s'mores indoors in my house. We aren't allowed to have a fire pit in our neighborhood and you know how grill propane tanks are - they always seem to run out of gas when it's most important. And trust me, dessert is way more important than the main meal. The first step is to find a tea light candle. It is extremely important that this is a plain unscented candle. I'd hate for you to ruin the taste of your s'more with, let's say, a tropical citrus scented candle. This may or may not have happened during the s'more testing process. The next step is to gather all of your ingredients. The essentials are the Honey Maid graham cracker (you can buy full squares from Walmart and not have to ruin your crackers buy breaking along the dotted line), Hershey's milk chocolate bars (you might as well buy the 6 pack because you know you'll want to share), and Kraft's jet puffed marshmallows. Be sure to add in some fun extras like fruit or nut butters - I chose raspberries and almond butter. Lastly, you need a vessel for those tea light candles. I tried to use lobster butter holder-thingys (what's the proper word for those things?) to hold the tea light candles, but there is a better way to do it. Here comes the fun part - roast away. Now here is my tip, if you want the marshmallows to turn all brown like they would on a camp fire, place a tea light in a vase or lantern. That will help direct all of the heat upwards. Your marshmallows and tummy will thank you later! Want another indoor roasting s'mores hack? Don't buy those pesky roasting sticks, just use a METAL fork. Be sure it's metal otherwise you will have melted plastic all over the place. Again, this may or may not have happened during the s'more testing process. After four turns of the fork and a few minutes, a perfectly roasted marshmallow is ready to be created into a s'more. S'mores are a funny dessert because you usually want more than one, right? 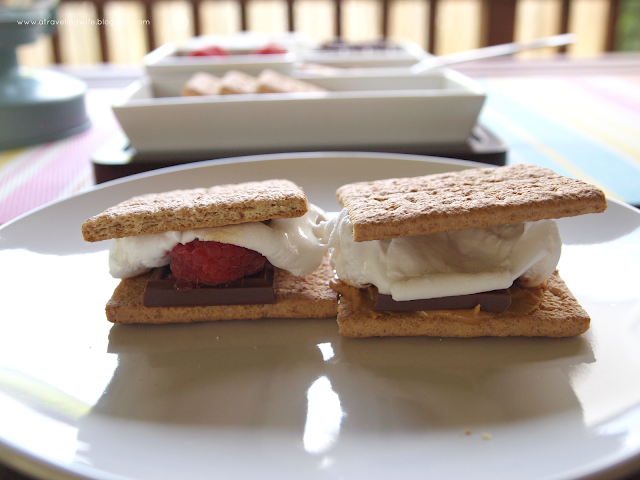 So try out a raspberry and almond butter s'mores - they will surely take care of any sweet tooth you have. Anytime is a good time for s'mores, so why not tonight? When stores offer you the convenience of collecting all the ingredients you need for a particular dessert in one location, can you really help but purchase them? What's your favorite way to eat a s'more? Have you ever tried to make them indoors? Oh, this is dangerous! I've already eaten my fair share of marshmallows and it's not even summer yet! It's so easy to pop a few marshmallows in your mouth here and there. I don't blame you one bit! 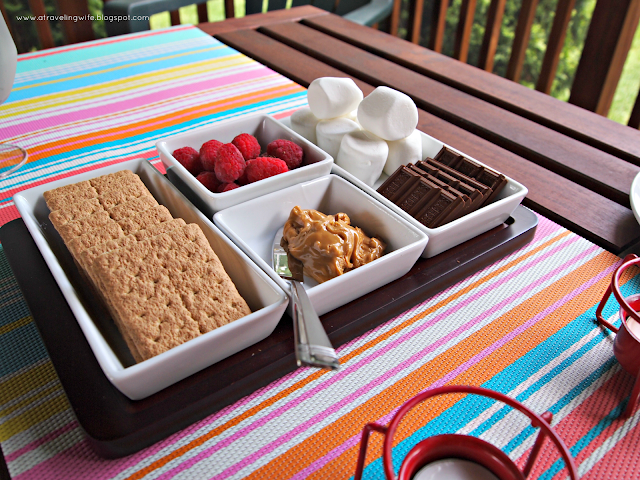 S'mores in general are such a versatile dessert that will please even the pickiest eaters. 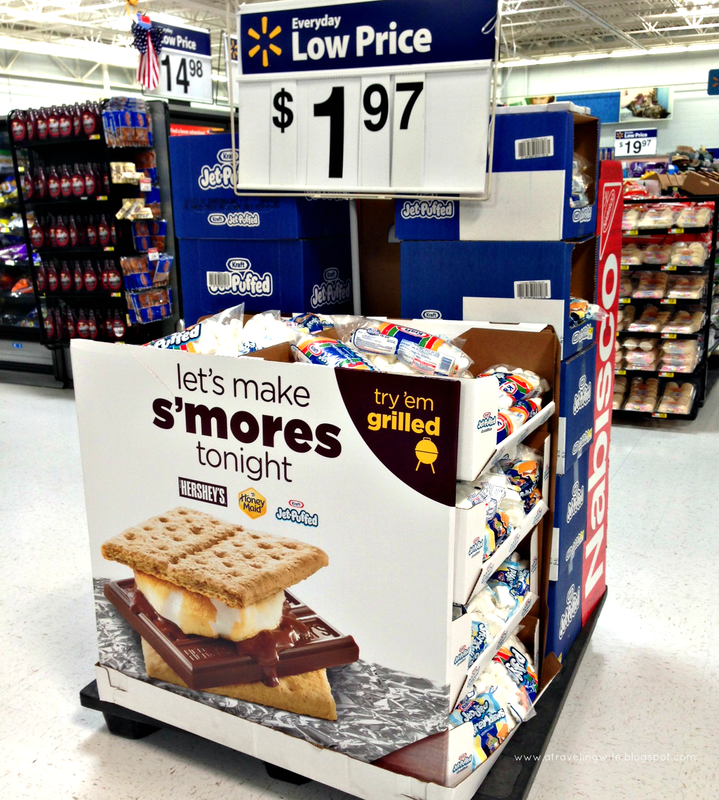 The reese's peanut butter cup s'more sounds amazing. I think I'm going to need to run to the store! Yummmmmm!! We will be making these over the weekend. What a fun, quick and delicious activity. I've never tried them indoors, but have amazing memories of them from childhood camping trips. They really are nostalgic, aren't they?! Ooh - I love this! My kids are bugging me for a fire pit so they can make s'mores...a tea light is much cheaper.